To date I have not been specially more impressed with Todd Standing than say Rick Dyer, Okay, I will give him Melba Ketchum. He is taking another stab at selling his evidence with release of a documentary. I about to put it all out there. DNA, photos, new videos… and the Documentary. Its all starting at the Sasquatch Summit later next month. The sylvanic cooperation presents the first trailer from the upcoming feature documentary “Bigfoot North” Starring Dr. Jeff Meldrum ( Professor of Anatomy & Anthropology ) , John Bindernagel ( PhD Wildlife Biologist ), Todd Standing ( Sasquatch Researcher ) Sonya Zohar ( Interspecies Communicator ). After Todd Standing took Survivorman Les Stroud out into his remote research areas and had unprecedented success, he return with the two PhD’s only weeks later. 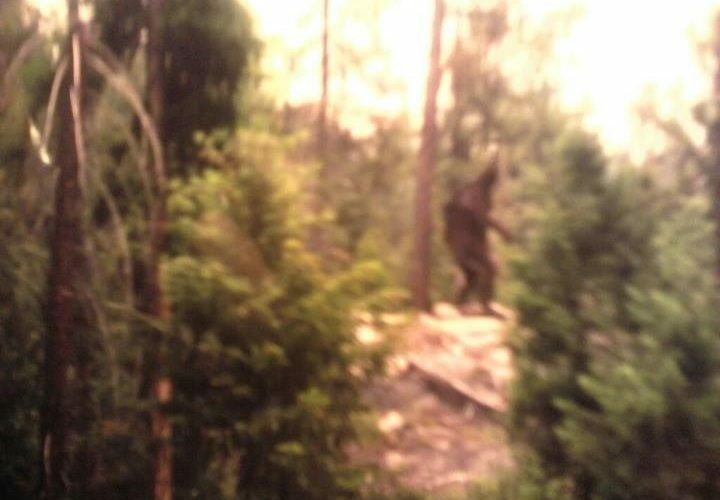 With the Help of California native Sonya Zohar they were able to take the research of the species commonly referred to as Bigfoot to a level the world has never seen before! The Bigfoot North Link does not work for me either, I include it as is. What are the qualifications for being an “interspecies communicator?” Can I get a course for that online? Earlier this year Standing offered up this footage on “Survivorman” of one of his subjects blinking its eye. Probably for having been critiqued on the static seeming eyes on a previous video release subject (of whom you could also see only the face) causing many to suspect the image was a person in a mask. My personal opinion of this is that all this shows is a video manipulation, seeing as my observation is that they entire eyebrow winks down, rather than simply an eyelid movement as you might expect. Dyer may be for real, but I have my doubts based on his history of story telling, secretiveness, and reluctance to release evidence he claims as unqualified proof. Standing has achieved the promise of protection for Sasquatch from the Canadian government upon proof of its existence, yet at the same time hesitates to release that proof without a financial incentive to himself. If he has that proof, I will be first to applaud, but if he has it then why the theatrics around his stated cause for finding them? One more promise of film and DNA evidence. ‘Round and ’round the mulberry bush… . The Bigfoot Summit mentioned, I assume is HERE. And yours truly will be doing his very best to be there.